Taking pictures of ice cream is not easy! This looks great to me! This is the second ice cream recipe I’ve seen today that makes me realize how badly I need to buy an ice cream maker. This recipe looks great! I love creamy matcha desserts. I don’t know how you managed to not gobble up all the ice cream as it churns. It’s a problem I have whenever I make ice cream. There was one summer, I kept pumping out custards (almost weekly) and I’d basically eat the ice cream straight from the spinning drum. So awesome, but such a terrible habit. I’m almost scared to try this recipe because I’m pretty sure I’ll eat it straight from the machine, haha! P.S. I know what you mean about photographing ice cream. Scares me. I’ve tried semi unsuccessfully. Sigh. Apparently the trick is to scoop all the ice cream and then freeze the scoops on a parchment-lined sheet pan to firm them up before bringing them to the set. Easier said than done. To be honest, I’m not even good at scooping ice cream! Good job! Thanks, Janice! I am the same way, “tasting” as I go and I have to fight with my daughter for licking the last bit on the spatulas and spoons !😂😂 Haven’t try scooping and freezing the ice cream on parchment before, but that’s a great idea! Beautiful ice cream – I can just imagine that creamy, slightly earth matcha taste. It’s a great flavour, and you’ve used it well. And I totally hear you on the photography front – I hate shooting ice cream (talk about time-sensitive). But you’ve done a lovely job. 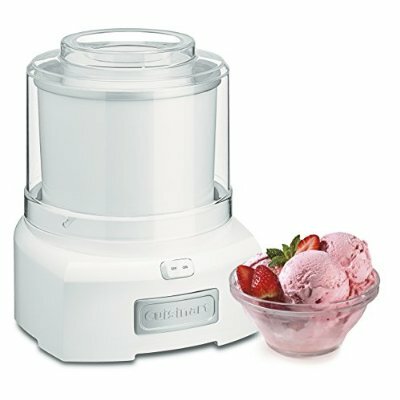 We’ve got the same machine – it makes ice cream so easy! Your matcha ice cream looks delicious. No egg ice cream is a nice change sometimes – it’s so much lighter and perfect for highlighting the flavour of matcha. i still need to try matcha!